So you’ve been sued by Capital One, Ford Motor, Midland Funding, Midland Credit Management, Cavalry Portfolio Service, Portfolio Recovery, Arrow Financial, Asset Acceptance, Cmre Financial, NCO Financial (insert your collection agent’s name here). From the moment you are served the Summons and Complaint you have only 30 days to Answer. If you don’t answer, you lose. The Summons is a court order stating that you must defend yourself in court or you will lose your case. The Complaint is your creditor’s paperwork describing why they think you owe them money. Your Answer is your written explanation which must be filed with the court saying why you don’t owe them the money they say you do, or not as much or not at all. Not filing your answer is called a Default. Once you have defaulted, your creditor may obtain a Default Judgment against you. If your creditor is on the ball, it could have a judgment against you in about 2 weeks after that first 30 days is over. But usually that’s going to take more like 4 to 6 weeks. So about 2 months after the date of service you’ve already lost and you didn’t even know it. Judgments can be used to garnish wages, levy bank accounts, and put judgment liens on houses. However, creditors cannot take those actions in California until 30 days after they have the judgment. Most of the 6 sneaky things collection agents do involve getting you to default on each step of the way through the lawsuit until they’ve already levied your bank account. 1. They forget to serve you. Impossible! They wouldn’t really do that . . . would they? It gets even better, when they’re filling out the proof of service or the paperwork they turn in to the court to say that they did in fact serve you, they forget that they forgot to serve you while filling in that proof of service too. Okay, lots of people don’t like to talk about this because it’s so heinous but it does happen. If you ever catch them, get ready to watch the lies fly. Mostly they’ll involve stating that you are lying about their lying. The fact that you were in Pennsylvania for a funeral and even have your cousin’s Facebook pictures to prove it will not deter them from saying you staged it like the Lunar Landing. I do want to stress that this is the rarest of the sneaky things and if it does happen, you’ll probably never prove it. 2. Serve you at your last address instead of your current address. This is a sort of No Kidding moment. Most of us have known someone who has had this happen. Or at least there is always someone who will say so. Often this is a mistake on the part of the person saying so, and no offense, but if you had a spouse or boyfriend/girlfriend that wasn’t working out, or roommates or teenage children, then perhaps it happened to you too. They might have lost it, thrown it away or forgotten to give it to you. Nevertheless, so many of us have lost houses and moved perhaps even several times since 2007. You might have been served at a former address just because your creditor couldn’t find you. However, I know several people who clearly informed their creditors about their new addresses and in spite of that the collection agency digs up an address which was as much as 10 years old. 3. Make sure there is a bogus hearing on top of the summons and complaint for not serving you the summons and complaint on time. This is in fact easier to do than it sounds. When the creditor is first supposed to serve you the summons and complaint they have only a certain amount of time to do it. If they don’t get it done, then the court issues a court order called an Order to Show Cause, or OSC ordering the creditor/collection agency to explain why it hasn’t served the summons and complaint on you already. When the court does that, it sets an hearing on the Order to Show Cause and that hearing is usually about 10 to 14 months later. No, it’s not a trial. Your collection agency knows that you don’t know an OSC from your own earlobes, and conveniently the court’s rules require that they serve the OSC on you too, so when they serve the OSC on you they put that on top of the summons and complaint. So, what I hear over and over again, is “but my trial date isn’t until next year.” No, that’s not a trial date. Even if you’re in small claims court, your trial will be in about 2 months. It will not be in 10 months or a year later. Understand this, any hearing that far down the road which is on top of your summons and complaint is a ploy to lull you into complacency, and you fell for it. Next thing you know your check is a quarter short and your bank account is empty. Besides which there is probably a judgment lien on your house. 4. Make sure there is a bogus hearing on top of the default judgment paperwork for not processing the default judgment against you on time. This is in fact easier to do than it sounds. When the creditor is first supposed to process the default judgment against you, they have only a certain amount of time to do it. In processing that paperwork they are required to serve you copies of everything they file with the court. If they don’t get the default processed soon after the 30 days goes by after they served you the summons and complaint, then the court issues a court order called an Order to Show Cause, or OSC ordering the creditor/collection agency to explain why it hasn’t processed the default judgment against you already. When the court does that, it sets an hearing on the Order to Show Cause and that hearing is usually about 10 to 14 months later. No, it’s not a trial. Your collection agency knows that you don’t know an OSC from your own elbows, and conveniently the court’s rules require that they serve the OSC on you too, so when they serve the OSC on you they put that right on top of the default judgment paperwork. Understand this, any hearing that far down the road which is on top of your default judgment paperwork is a ploy to lull you into complacency, and you fell for it. Next thing you know your check is a quarter short and your bank account is empty. Besides which there is probably a judgment lien on your house. 5. Serving your summons and complaint or sometimes even the judgment on you with a copy of the hearing date for the case management conference on top of it. Some jurisdictions set a case management conference, or CMC when any case is filed in civil court. Some set them shortly thereafter. Some wait for the defendant to answer and then the court sets it and some wait for the plaintiff or defendant to set it. If the court where you live sets a case management conference soon, then the collection agency’s attorney puts it right on top. Those conferences are usually set about 9 or 10 months later. No, it’s not a trial. So, what I hear over and over again all the time is, (say it with me) “but my trial date isn’t until next year.” No, that’s not a trial date. Even if you’re in small claims court, your trial will be in about 2 months. It will not be in 10 months or a year later. But you’re not in small claims court, look for that page called Summons and read it carefully. Remember that any hearing that far down the road which is on top of your summons and complaint or your default judgment paperwork is a ploy to lull you into complacency, and you fell for it. Next thing you know your check is a quarter short and your bank account is empty. Besides which there is probably a judgment lien on your house. 6. Serve the wage garnishment and bank levy on you a week to 10 days after they serve them on your employer and your bank. The reason for this is self-evident; Why give you time to empty your bank account or file a bankruptcy? The Court’s rules require that they serve you copies of the wage garnishment and bank levy, but you’re almost never going to get copies of them prior to your bank or your payroll getting the copies first. There is a reason for this, in California, a served bank levy creates a lien in favor of the creditor against any money you have in your bank accounts. In California, a wage garnishment creates a lien against 25% of your pay check the moment is it served on the payroll department at your work. 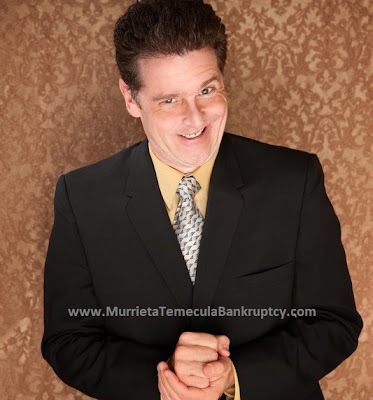 Even if you file your bankruptcy quickly, you may never get that money back. Don’t get me wrong, there are still a couple of things you can do, but they don’t always work. By the way, if you’ve been to the bank and found that a judgment creditor has levied your bank account, then most likely your judgment creditor is also about to garnish your wages. Find yourself some money immediately and file a bankruptcy as fast as you can. Likewise if you go to work today, and the HR Dept tells you your wages about to be garnished, then ask your Boss for a few moments to go to your nearest bank branch and empty your bank accounts. You must do this for all accounts that have your name on them except for limited circumstances such as social security deposit accounts. If you share an account with your mom because she wants you to be able to access her account if she gets sick, you have to empty that one too. Or at least she does. Time to make some embarrassing phone calls. And I don’t mean later today when you get the chance or on the way home from work when you can get to it, I mean do it right now. Right now this minute. Leave your computer or put down the pad or phone and run to your bank and take out your money, right now. DISCLAIMER: I’m only licensed in California in the Southern, Central and Northern Districts and this is not legal advice and you’re not my client until you have first called me and we’ve decided that you are and signed retainers. CALL 951-200-3613 to set an appointment. What have sneaky creditors done to you? Please post your stories in the comments below. Share this page. I see so many people who get caught unaware because they don’t know how civil lawsuits work. Share It, Post It, Tweet It, Pin It, Plus It. This entry was posted in collection agencies and tagged 6 Sneaky Things Collection Agents Do in Lawsuits to Get You to Lose Without a Fight, arrow financial, asset acceptance, capital one, cavalry portfolio service, cmre financial, ford motor credit, midland credit management, midland funding, nco financial, portfolio recovery. Bookmark the permalink.